Because jazz still held a bit of cultural currency when Chet Baker died in 1988, the circumstances of his somewhat notorious demise received a great deal of media play. The stunning documentary Let's Get Lost was released the same year, and Baker's association with young rock artists including Flea had the trumpeter enjoying a late-career vogue. 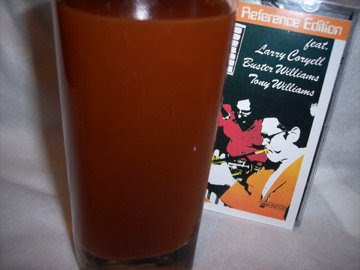 In spite of the presence of Larry Coryell, Buster Williams and Tony Williams, this German session from 1979 is the most obscure title in my library of Baker recordings. The constant campaigning is really starting to bug me. It's not politics. Horrified that I wasn't even considering Santogold for my year-end top ten list, two of my best friends are demanding that I open my ears. I don't dislike her; I just can't get over the strong sonic resemblance to Missing Persons, a band I associate with bad times. I'd like to begin using Yahoo's Media Player, but I'm having a hard time getting it properly installed. Please let me know if you're willing to hold my hand or give me any insider tips. Kansas City Click: Around the time of Baker's death I loved to hang out at the Levee. The last of the Blue Devils- including Sonny Kenner and Claude "Fiddler" Williams- regularly played there. I haven't been inside the club in ages, but I've been meaning to catch their reggae night. Elisha Israel and AZ One are featured this evening. What's that saying? "Don't hate the player, hate the game." I've always taken the opposite approach. I love the game; it's the players I don't always care for. There Stands the Glass rarely references the jam band movement. But in my world view, exceptions aren't just made- they're embraced. Merl Saunders is a prime example. 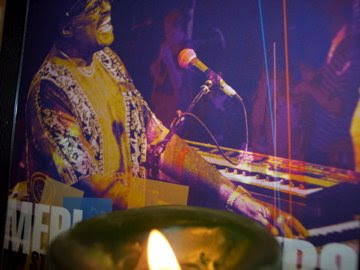 The man made all sorts of compelling music and diligently played small club dates both before and after the death of his sometime associate Jerry Garcia. The genial groove of "M.S." is found on this 2000 release. And for personal reasons, I also have great affection for Saunders' Blues From the Rainforest. Miles Bonny offers a free "Soundtrack to a Presidency" mix featuring the likes of Donny, Stevie and Curtis. The new album by The Cure really appeals to me, and I'm not even much of a fan. Kansas City Click: The wonderful Alexi Murchoch opens for Alanis Morisette tonight at the Midland. Mac Lethal As "The Local Opener"
With ears ringing and a bounce in my step, I hustled from the Sprint Center to the Riot Room Saturday night. Although Metallica's concert was immensely satisfying, I also wanted to catch Mac Lethal's semi-secret show at the Riot Room. What I saw of Mac- particularly the renditions of "Black Widow Spider" and "Rotten Apple Pie"- was typically cathartic. Mac's at an important crossroads in his career; the top-quality video for "Calm Down Baby," perhaps his definitive song, was officially unleashed on the world last week. Soulcrate Music, three amiable guys from South Dakota, had improved markedly since their previous Kansas City show. Their goofy Halloween-themed "Stealing Kid's Candy" was particularly fun. The unappealing sight of Grieves, the night's headliner, swapping spit with an attractive young lady at the bar, combined with the sudden realization that my ears were practically bleeding, had me out the door before Grieves took his turn in the spotlight. I don't wear a hat. And on the rare occasions when I feel the need, I just slap a beer gimme cap on my melon. Kansas City rapper Paul Mussan gets all scientific about the subject on this song. Our sartorial differences aside, I recognize that Mussan is one of his town's most promising hip hop artists. Maxwell was everything his fans had hoped for last night. Here's my review. Don't miss the professional photographer's stunning documentation. Kansas City Click: The latest reports indicate that LL Cool J will open for Janet Jackson tonight at the Sprint Center. This is one of my all-time favorite recordings. The Black Clover Records roster will pack the Riot Room on Saturday. Akil The MC is Sunday's headliner at the Record Bar. I clearly recall the smackdown I received when I made a sales call on an urban-oriented retailer about twenty years ago. The store owner made a series of references that sailed way over my head. 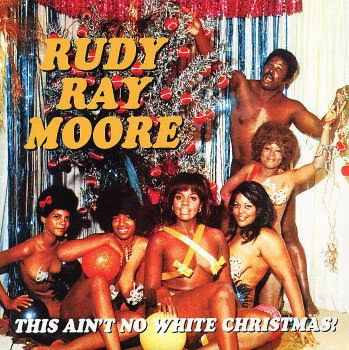 "That's Rudy Ray Moore, son!" he chided. "Don't tell me you don't know about Dolemite!" I didn't. That entrepreneur would still disapprove of me- I can hardly listen to Moore's material to this day. It's just too dirty. "Health Department" is easily the least objectionable track on This Ain't No White Christmas. I know it's heresy, but I actually prefer the Little Richard-style material found on this collection. Moore died October 19. Rod Warner, one of my favorite music bloggers, is working on a book about "the street music scene in London, Paris and beyond during the sixties." Check out this evocative post. Here's my review of Sunday's concert by Queensryche, Tesla, MiniKiss and the Leo Project. Kansas City Click: Olympic Size and American Catastrophe make themselves at home at the Czar Bar tonight. His obituary in the New York Times quotes Dave McKenna as once suggesting that he played "saloon piano." He repeated the assertion in the liner notes to the gorgeous 1989 Maybeck Recital series session. If that's the case, I need to start hanging out in better saloons. His swing and bop-informed stride style will be missed. Thankfully, a great deal of fine McKenna footage is available on YouTube. He wrings every bit of wistfulness out of "Some Other Time". I've been at a loss as to how to memorialize Levi Stubbs. He died October 17. Substantially rougher, grittier and more emotive than Smokey, Marvin or any of the Temptations, Stubbs was easily my favorite male vocalist among Motown's top stars. The Four Tops were featured at There Stands the Glass eight months ago. Edie Adams died October 15. Until Friday, I'd never seen this crazy Muriel cigar spot co-starring Stan Getz. A drunk rock chick deliberately doused my camera in beer last night. It's ruined. Is photographing Mini Kiss really that objectionable? Until I buy a new camera I'll be copping images online. I know you're disappointed, but look at the bright side- it allows me to feature this atrocious McKenna album cover. 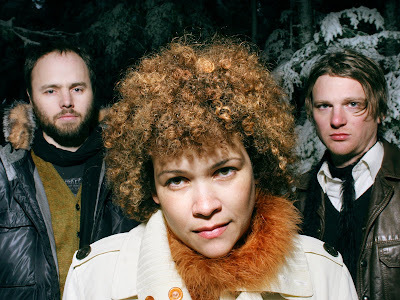 Kansas City Click: I don't care what you think- I love Straylight Run's "Existentialism On Prom Night". They're on the bill at the Beaumont tonight. It was odd at the time and it seems even stranger now. NBA fans attending a Kansas City Kings game one night in the late '70s were handed copies of an album by British folk rock artist Ian Matthews. I recall being delighted, but I can't imagine that many other people who came to Kemper Arena to see Otis Birdsong and Sam Lacey play would have had any interest in Matthews' music. I hadn't yet heard of Matthews or his previous bands Fairport Convention (don't miss this primal footage), Matthews Southern Comfort and Plainsong, but I've kept tabs on his career ever since. Complicating matters, Matthews changed his first name from "Ian" to "Iain" with the release of Pure and Crooked in 1990. It's filled with great songs that are somewhat hampered by an overly polite production. "New Shirt," for instance, could have been a power pop smash in the hands of someone like Marshall Crenshaw or Lindsey Buckingham. Kansas City Click: Octarium sing tonight at Visitation Church. Tickets for Luis Miguel's concert Saturday at the Sprint Center start at $50. I'd love to see the reactions of the volunteer ushers Sunday at the Folly Theater when Los Lobos starts playing. The only thing better than a drinking song is a hangover song. With its references to the shakes, "Come See What's Left of Your Man" is one of the most extreme examples on record. Bad luck, an alleged obstreperous nature and hard-living habits tagged Johnny Darrell as one of country's original outlaws. There's no reason for fans of Waylon, Willie, Cash and Kris not to own this insanely great collection. It includes the original version of "With Pen In Hand", Darrell's sole big hit. Say it ain't so, Kanye! You issued my favorite album of 2007. And 2004's The College Dropout almost single-handedly revived my love of hip hop. I'm all for artistic exploration, but I'm sensing that I'm not going to appreciate the electro-pop of 808s & Heartbreak. Kansas City Click: Broken Social Scene and Land of Talk visit the Beaumont Club tonight. I'm ashamed to admit that I didn't realize Neal Hefti was still around in 2008 until I saw his obituary this morning. He was 85. Like every American boy my age, this TV theme song composed by Hefti is part of my DNA. As an ostensibly mature Kansas Citian, I now recognize that Hefti's greatest contribution may be the Count Basie staple "Li'l Darlin'." This relaxed, elastic arrangement of the gorgeous ballad was performed in 1988 by bass legend Ray Brown, pianist Gene Harris and drummer Jeff Hamilton. It's available on Live At the Loa. I'll keep my opinion of the tour vlog of Mac Lethal and Grieves to myself. Kansas City Click: The freakin' Flobots play a free show on the Power & Light stage tonight. Great... now I'm going to have to chant "A Milli" for a few minutes until their earworm of a hit crawls out of my noggin. Jazz is clearly less relevant today than it was forty years ago. Has the quality of the music diminished accordingly? I could argue both sides of this question endlessly, but if I was called upon to make a case for jazz's continuing vitality, I might begin by citing Criss Cross Jazz. Just as Blue Note Records did in its heyday, the Dutch label tirelessly turns out outstanding mainstream jazz releases by the era's top musicians. As with classic Blue Note efforts, Criss Cross' dates are mostly loosely organized blowing sessions. That doesn't mean, however, that its output isn't compelling and innovative. Orrin Evans' "Explain It To Me" is a great example. World-class rhythm section Avishai Cohen and Ralph Peterson chime in after the pianist's opening statement. Ralph Bowen, Antonio Hart and Tim Warfield then engage in an old-fashioned saxophone battle. It's from the excellent 1998 release Captain Black. Not surprisingly, Evans is spending much of the next two months touring Europe. That so few take notice of Criss Cross' work is a symptom of jazz' commercial- not artistic- malaise. Alton Ellis died Friday. The reggae great's "Black Man's Pride" was featured at There Stands the Glass eighteen months ago. Kansas City Click: Dwight Foster leads the Monday jam session at the Blue Room. Kansas! I regularly feature Kansas-based hip hop artists but I'm a little behind the curve with XV. Blogs much cooler than There Stands the Glass have been heaping praise on the kid. XV's EPK shoots for ironic but comes uncomfortably close to glorifying the very things he mocks. The video for "Get Fresh", co-starring Seven, isn't much better. Both, however, reveal significant starpower and flashes of brilliance that make it clear that XV is Kansas' next big export. Kansas City Click: Koufax hit the Czar Bar tonight. I can waste hours playing the "What's your favorite Randy Newman song" game. The brilliant songwriter will almost certainly play "Sail Away" at the Folly Theater Saturday. You know, the Renaissance Festival doesn't sound too bad right about now. Sonic Sidhe Tribe perform there Sunday. Now, more than ever, I'm accustomed to hearing that phrase. It doesn't really bother me, but I suspect that many of the naysayers are merely uninformed. I wish everyone could experience the sounds and images contained in this documentary footage featuring Dexter Gordon. If doubters still aren't feeling it, then I guess jazz really isn't for them. I'm fine with that. The out-of-print 1982 album American Classic looks great on paper. The icon is joined by the likes of Shirley Scott and Grover Washington, Jr. Excepting Gordon's extended meditation on "Skylark," the project doesn't completely click. The somewhat lackluster "Besame Mucho" is typical. I loved Nikka Costa's performance at the Record Bar last night. Here's my review. Kansas City Click: Unless someone buys me a cocktail, I'll be on a "Natural High" during Bloodstone's show tonight on the Power & Light District stage. 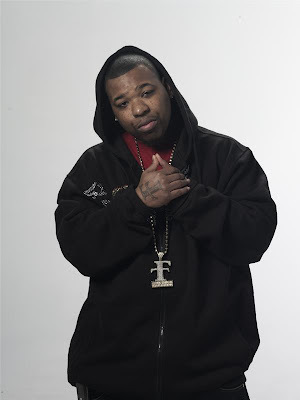 Hip hop producer Johnny "J" died October 3. Kansas City Click: Nikka Costa is at the Record Bar tonight. I didn't appreciate intimate piano jazz until I was in my thirties. The acclaim accorded to performances including Bill Evans' "Waltz For Debby" completely baffled me. I haven't mellowed so much as I've become a more patient listener. The hard knocks that can only come with age have also taught me that beauty need not be banal and that pretty doesn't have to be precious. In my youth I would surely have mistaken the music of Kansas City piano and bass duo Kim Sivils and Steve Rigazzi as lovely but hollow lounge music. Only in recent years have I been able appreciate the pair's sublime interplay and wistful work. They're very good. In fact, their approach compares favorably to this duet between Evans and Eddie Gomez. In addition to their weekly gig at EBT's, the duo appears regularly at jazz clubs like Jardine's, where these original images were captured last week. The video for Tech N9ne's "Like Yeah" was posted Friday. If you think Lil Wayne is everywhere, you're not hallucinating. Check out his sports blog for ESPN. Kansas City Click: Mark Lowrey plays "Name That Tune" at Jardine's tonight. "Created a buzz by just being me on these beats/Ain't never shot a n***** but I'm still a G in these streets." It's true- The Popper is an underground king. 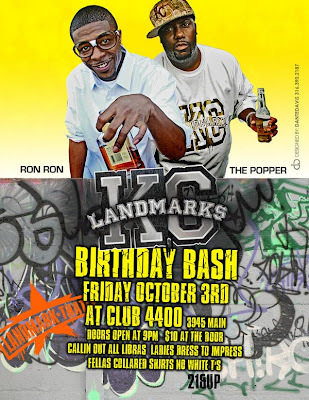 He and Ron Ron headline a KC Landmarks label event at Club 4400 tonight. The two-minute "Vibe To This," from the Here Comes the Popper mixtape, references Kansas City crimefighter Alvin Brooks, Dr. Jack Kevorkian, "nuns in a convent," haters and artists "stuck in a time lapse." Ron Ron was featured at There Stands the Glass in August. I also adore "Way Gone," a morally reprehensible ode to inebriation that streams at the neglected MySpace page of KC Landmarks. How does an independent record store stay relevant in 2008? Euclid Records in St. Louis has plenty of answers. Their latest initiative involves issuing 45s and prints documenting Euclid's in-store performances. Steve Wynn of Dream Syndicate will be the program's first participant. Kansas City Click: There Stands the Glass favorite Howard Iceberg warbles at Good JuJu in the West Bottoms this evening. Prog-rock hero Peter Hammill materializes at the Cashew Saturday. Sara Evans sings at the Midland on Sunday. Is it just me, or does a certain politician look a lot like her at the five-second mark of this video? 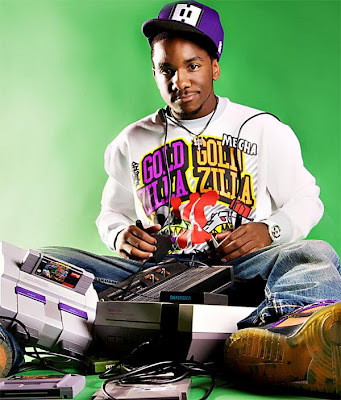 Brooklyn rapper Vast Aire appears at the Record Bar tonight. Although his 2004 album Look Mom... No Hands received only lukewarm reviews, I've always appreciated its somewhat unsettled vibe. The alternately profane and lyrical "Why'sdaskyblue" is deliriously random. Much like Kool Keith, Vast Aire is an unusual character. The blunt-heavy "Painkillers" video by Vast Aire's former group Cannibal Ox offers additional insight into what's on tap tonight. A revitalized ZZ Top blew my mind last night. I proclaim that they're the best blues band in the world in my review. Dear Lord! I stumbled into this video while researching ZZ Top's opening act Blackberry Smoke. Something tells me that this disturbing slice of Americana is not an authorized viral ad for Bud Light. I laughed, I cried, I planned to move to Canada. Kansas City Click: Dave Brubeck opens the Folly Theater's jazz series' new season tonight. A Long, Lovely List of Repairs, the title of Amelia's third full-length album, may or may not deliberately allude to Shawn Colvin's A Few Small Repairs. The Portland-based band has a lot to offer the Triple-A folk-rock crowd. But where Colvin's hit songs are based on catchy choruses, Amelia veers left into European cabaret, jazz-inflected lullabies and Ennio Morricone-style atmospherics. "Tragedy" only hints at Repairs' truly "lovely" moments. There Stands the Glass is the co-winner of the Pitch's "Best Music Blog" of 2008 award. Who's the interloper who tied me? Well, that'd be my alter ego Plastic Sax. Thanks one and all! Birdsongs of the Mesozoic's albums are being reissued by Cuneiform Records. The original releases came at a time when I was trying to make sense of my passion for both punk rock and straight-ahead jazz. Kansas City Click: Tina Turner kicks off her tour tonight at the Sprint Center.